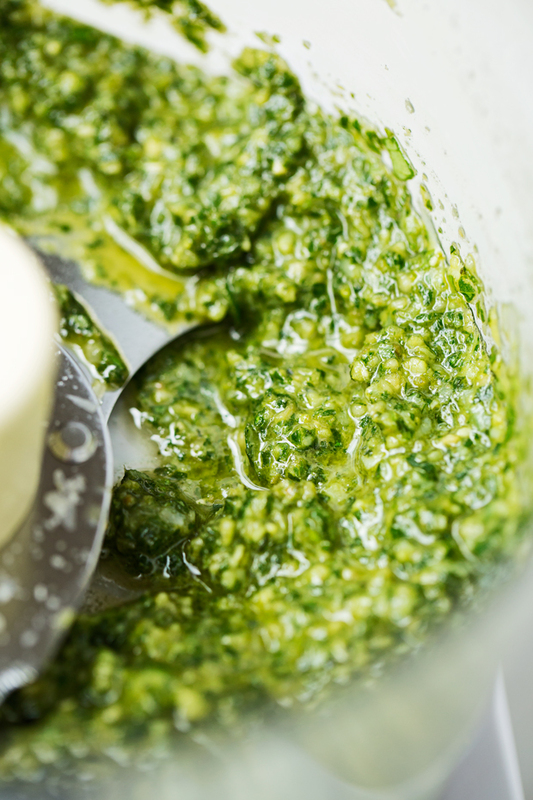 And nothing is easier (or tastier) than traditional homemade pesto. 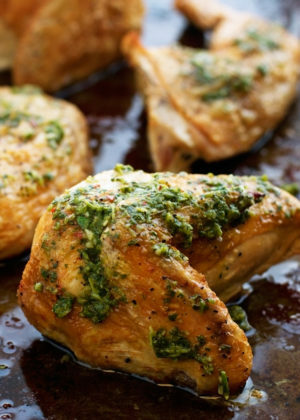 This is my favorite recipe for it, and I don’t take my pesto lightly. It took some time for me to perfect my pesto and bring on my ‘A’ game. 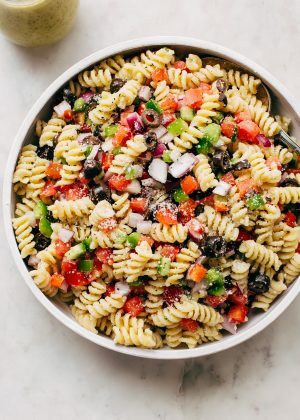 But the whole process was so worth it when I added in a dollop to my mediterranean pasta salad and it tasted BETTER than the restaurant I was inspired by. And hey! hello! 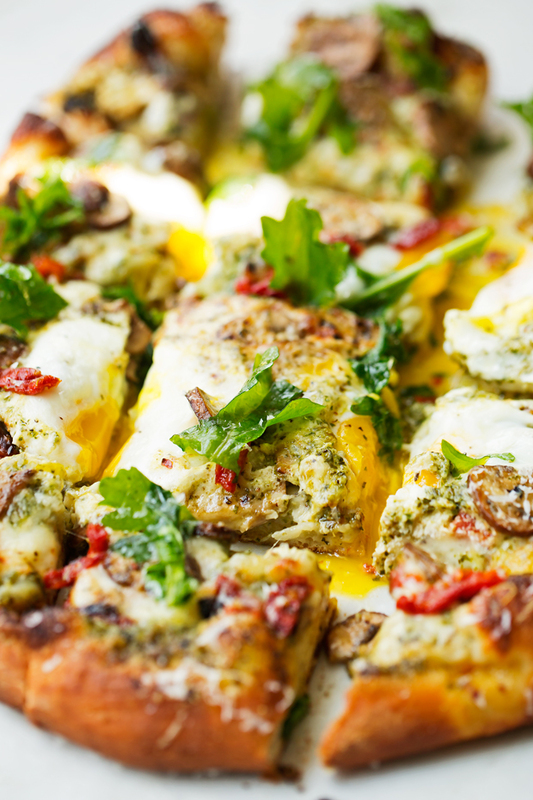 Breakfast pizza with eggs and pesto genovese makes me wanna JUMP out of bed. ??? It’s a classic basil pesto with ingredients like pine nuts, parmesan cheese, olive oil, basil, lemon juice — and lemon zest. 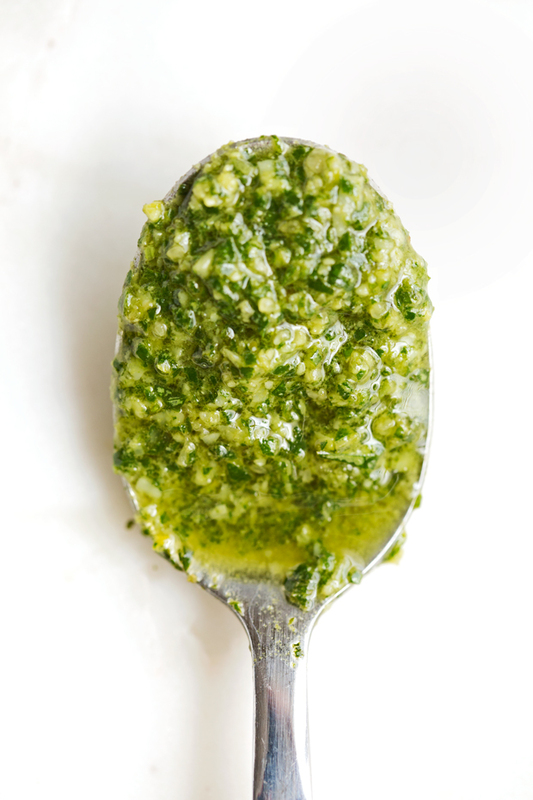 Never used lemon zest in your pesto before? It’s not an ingredient you’ll find in many other basil pesto recipes. But boy, oh boy does the lemon zest really help brighten that pesto right up. A whole new depth of flavor is just waiting to be unlocked. My friend, can we talk about those teeny tiny jars of basil pesto we tell ourselves we NEED for around $5 and, if you are anything like me, are gone in under 2 days. 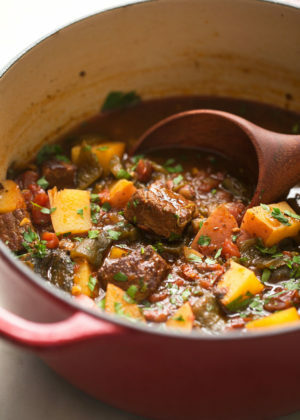 This recipe will make you a TON for that same price and it allows you to control what goes in. I like to grab those organic basil boxes at Trader Joe’s and use those to make my pesto. And who doesn’t love the fact that there are ZERO preservatives? Even if you aren’t too particular about that sort of thing, it’s a good feeling to know EXACTLY what’s in your food. Speaking of food, have you tried those cashew clusters from Costco? Holy guacamole! I couldn’t believe what my mouth was experiencing. 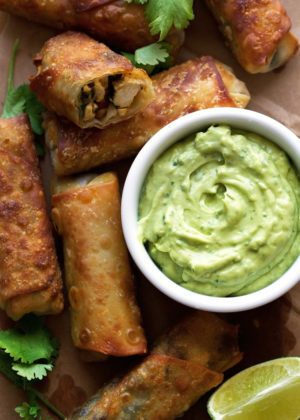 Cashews, almonds, and pumpkin seeds all rolled around in a honey-like flavor and crunchy to the maxx. Gah! I swear I dreamt about them last night. ? But back to the point. 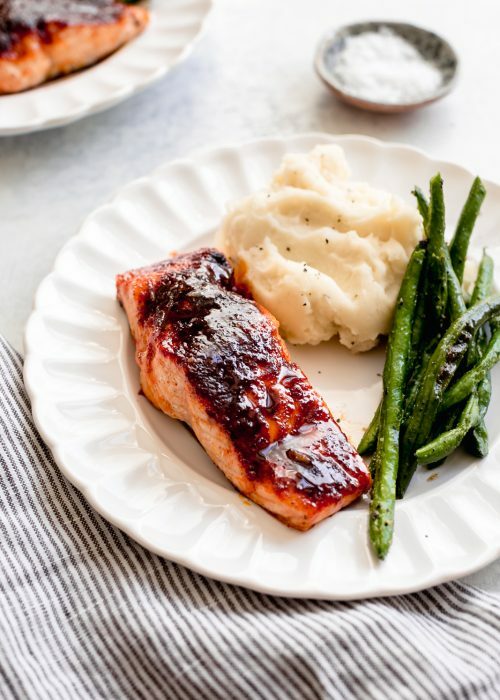 Not only is this recipe simple, it’s also quick to pull together. All you really need is a food processor so you can blend everything together. Sometimes I like to add a pinch of red pepper flakes to help build more flavor in my basil pesto, but this is entirely up to you and it’s not an ingredient you have to use. Minestrone Soup (tomato basil pesto is one of my secret ingredients for the soup but you can certainly swap it out for traditional pesto if you’ve got that on hand. Okay, so go make this pesto because Fri-yay, i’m sharing a recipe with it that you have go to make. My homemade recipe for traditional basil pesto. 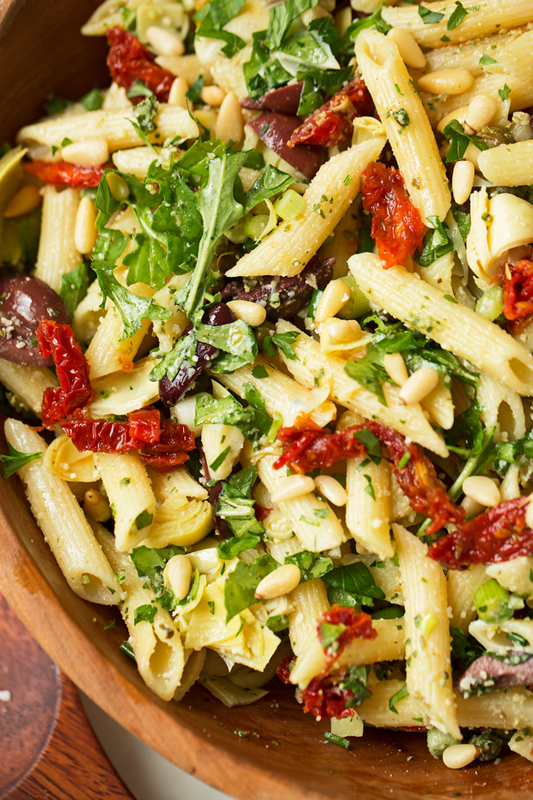 Pesto Genovese is delicious on EVERYTHING! 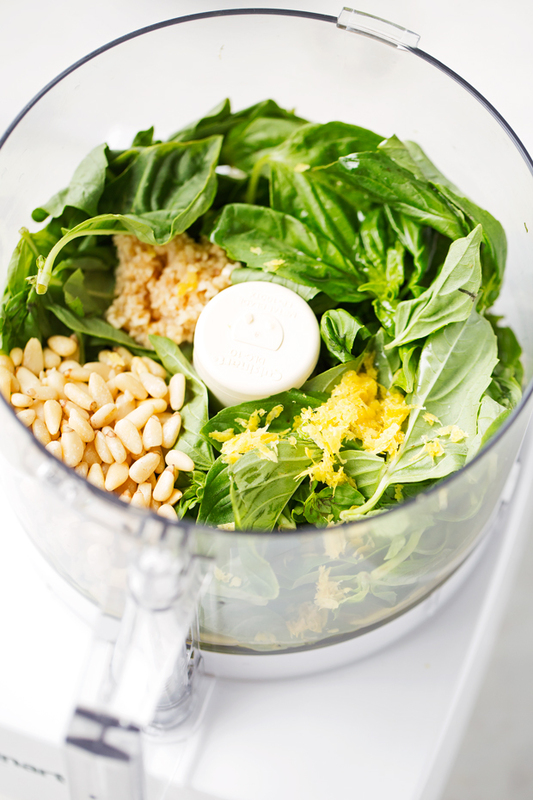 Add the basil leaves, parmesan cheese, minced galric, lemon zest, pine nuts, lemon juice and, if using, red pepper flakes to a blender or food processor. Blend continuously until the ingredients start to breakdown. 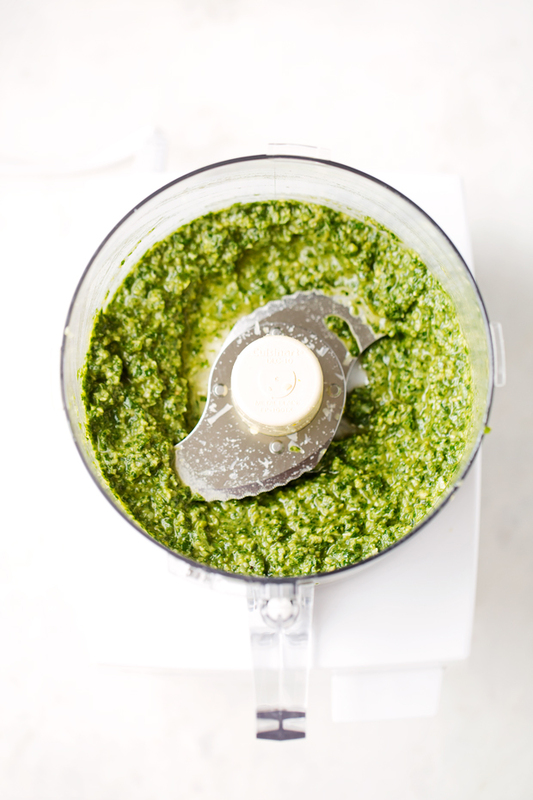 If you prefer a more coarse pesto, use the pulse setting. Stream in the olive oil and allow the ingredients to emulsify with the oil. You want to continue processing until the oil is combined with the basil and your other ingredients. Taste the pesto, add additional garlic or parmesan to preference. STORING: Store the pesto in a small container (where the pesto fits all the way to the top and press to reduce air pockets. 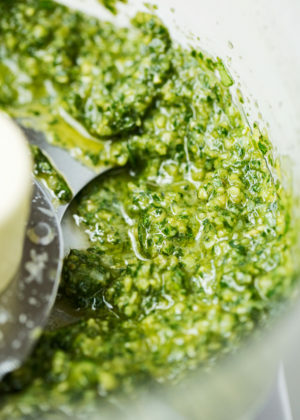 Homemade pesto can be stored in the refrigerator for up to 1 week. You can also pour the pesto into ice cube trays and freeze. Remember to transfer the frozen pesto to a zip top bag once frozen. You can replace the pine nuts with cashews or almonds for a more economical option. What brand of olive oil do you like? It’s hard for me to find s good one for pesto. Just made 3 batches. The lemon juice and zest added what was missing from other recipes. 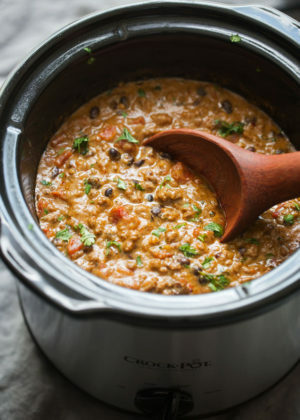 This was really simple to make and was absolutely delicious! I will make it every week from now on. The addition of the lemon and zest resulted in truly awesome flavour! Thanks so much! Really good! I found that it needs to be left for a couple of hours for the taste to really come through. 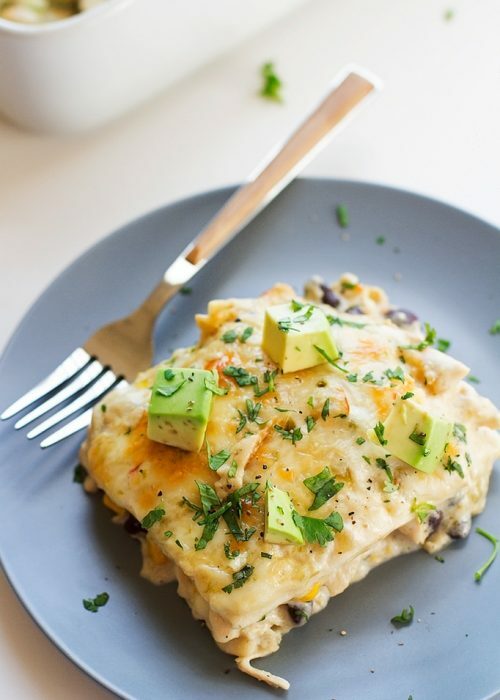 Super delicious receipe. Just made this with toasted walnuts and garlic infused olive oil since I cannot have garlic. Also, added cayenne pepper instead of red pepper flakes. Mmmmm…so yummy! So happy I’m growing basil this summer! It is potluck day at work tomorrow, and I am bringing caprese salad. I made this pesto to pour over the slices of tomato and cheese. Best pesto I have ever made! I omitted the garlic because I don’t care for it, and added some salt. 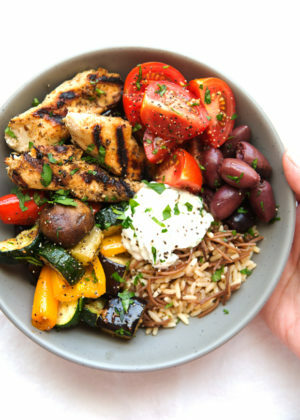 I want to serve this over everything this summer! I am planting basil for sure. Thank you for sharing it! How do you use once frozen? It depends on how you froze them. 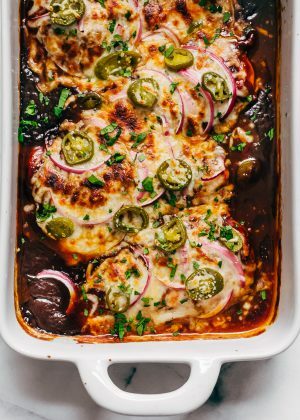 If it’s in an ice cube tray and you’re using it for a cooked recipe, you can add it in frozen. For salads or vinaigrettes, I suggest defrosting it in the refrigerator overnight before using. This was great! I used pecans cause I had them. Very tasty. 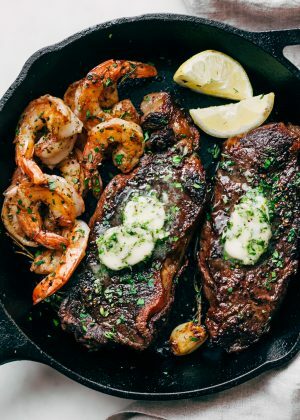 Loved this recipe. But I did tweak it a bit by adding another clove of garlic, adding a little more olive oil to give it a smoother consistency, and a small pinch of Maldon flaked salt. Yummy!!! I’ve made this several times now. It is the best!! mmm, best pesto I ever had. I am making this today. Can’t wait. Do you have a recipe for the pizza pictured above?? Looks delicious! 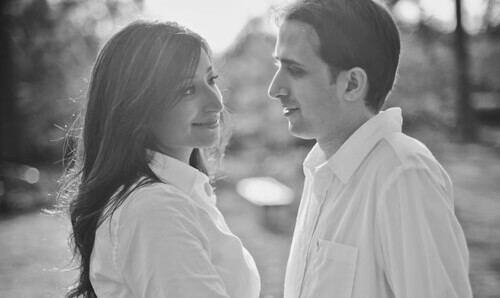 We love it….can’t wait to make it again. Have you ever put cream in it? 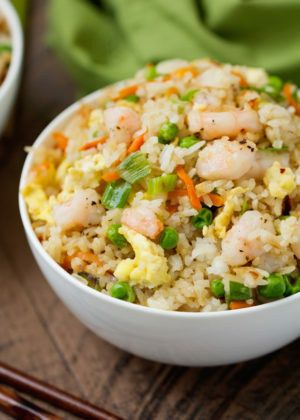 You’re right – the lemon juice and zest make it just absolutely wonderful! Yes, that’s correct – it’s to taste, as parmesan varies so greatly in saltiness. I suggest tasting the pesto with the nutritional yeast and adjusting with salt and pepper to preference. Hello there! I have everything for this recipe…except the food processor ? I haven’t yet bought another one since mine broke. Could I use my blender or Nutribullet? 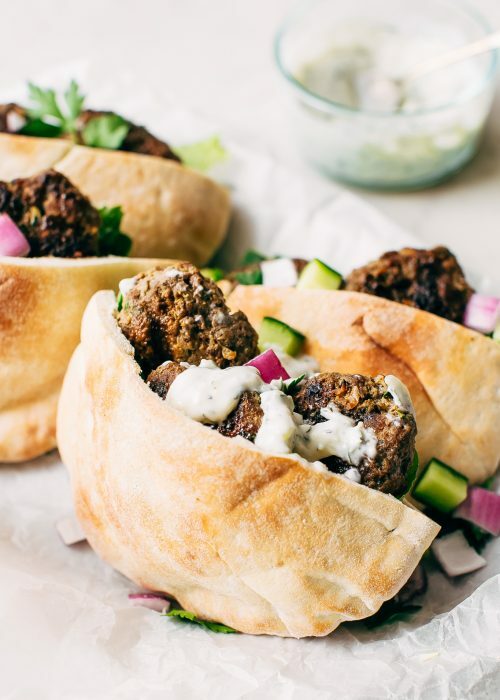 This recipe is so simple to make and really delicious! 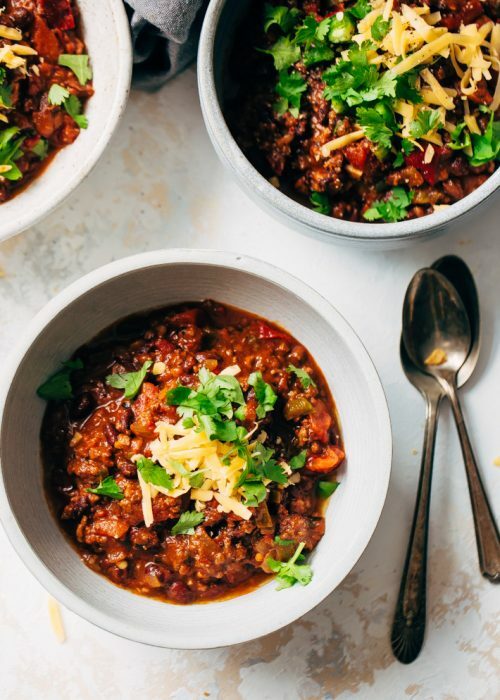 Adding the red pepper flakes really put this basic recipe over the top! 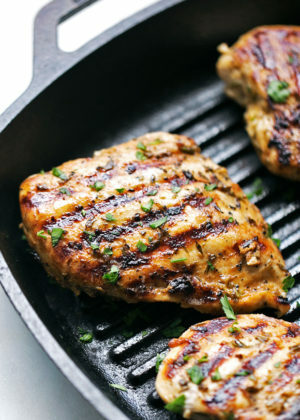 Very good, except be sure to use sweet basil and you can cut down on the olive oil if you want it a little pastier. Absolutely best ever Basil Pesto and Sundried Tomato Pesto ever. Did’nt change a thing. Can I please have the recipe for that yummy pasta salad pic posted above? I didn’t see a link. Thanks! Hi Anita! Glad to her you’d like to give the pasta salad a try! Here’s a link. Does the minced garlic go in raw? I didn’t see anything about sautéing it first. Just making sure. Yes, it goes in raw. I freeze this every year. Just add some olive oil on top before sealing it so it doesn’t turn brown. Lasts until the next season when I do it all over again. Also, I use toasted walnuts. Works great. Since pine nuts are expensive, I’ve used salted roasted sunflower seeds, and it’s turned out great! Great idea, thanks for sharing Christa! Unfortunately I don’t have much experience with canning, please use your best judgement. I freeze it in ice cube trays then put in freezer bags. I pesto cube is about a tablespoon. Glad to hear you enjoyed it, thanks Simon! Did I miss the notes part on the pine nuts?